Post any news or rumors you hear about the upcoming Series 3 right here! I don't know you guys but me to be honest I'll prefer Apple to make an Apple Watch every 2 or 3 years just to let users have the last piece of tech without having to change every time year or selling way to cheap because is an obsolete model very soon...I know is not the way this works but it will be super nice. What do you Think? mrkeynes, konjis1 and LadiJae like this. I'm good either way. Apple makes a new phone every year, but I upgrade at two years or later. I'd do the same with Watches— upgrade when the feature set merits it. Unless Apple changes the form factor of the Watch, it doesn't seem to me that they could sustain upgrading the Watches every year for the unforeseeable future. Even then, I could seem them running out of marketable ideas. The Series 2 just doesn't seem to justify an upgrade for me from my original one. But if the upgrades are more significant this year, I'll upgrade most probably. Big gains in battery life would be great from my point of view. Right now I'm getting 1.5 days of use out of my Series 2... would be nice to go 3-4 days on a charge. Agreed. Having to charge only a couple times a week rather than every night. ladyc0524, KarmelVixen and LCW like this. And an improvement in battery life is one feature that definitely wouldn't get me to upgrade. I'm in the habit of charging every night and I'd rather do that than charge on an irregular schedule. As long as the battery always gets me through the day (and it does), it meets my needs. The device that annoys me is my Fitbit because I usually don't notice it needs charging until it's too late. I've had that happen numerous times. Not a Fitbit user since the switch to Apple Watch, but know exactly what you're talking about! The new touch surface sounds like more of a supplier change than an upgrade. The article also mentions sleep tracking and cellular data. I agree! For me an upgrade every two years would be great.....a true upgrade not a little small stuff here and there. The bigger news for Apple Watch fans is that new models will ship this fall. Rumors about Apple Watch Series 3 features are slim right now but do mention sleep tracking and cellular data. Ok, so new Watches shipping this fall is not a rumor? Says who? And I trust nothing to be accurate when the source is DigitTimes. So I'll just wait to see what happens, or at the least, a more credible source of rumors. Apple, surprise me. So I'll just wait to see what happens, or at the least, a more credible source of rumors. So you're waiting for something from Ming-Chi Kuo then? I still have the 1st gen. Restoring is god awful slow (when swapping to a new iPhone for example). Otherwise works great. Every watch OS has been a nice improvement. Didn't see the point of getting the gen 2. Was a fair investment just to get the first gen. The watch isn't something I want to update every year. But will be curious on gen 3. Hopefully space black stainless still available. Would be nice if it became a bit thinner. A slightly bigger screen would be ok too. He is one of the more credible sources, but I think his track record is still something like 60%. That's pretty good in the Rumor Game but still— it's speculation than fact. Why not open watchface design to user like Pebble ? It would be an ugly mess, just like Pebble. Those are some tacky Watch faces, and if Apple were to open it up, it would be best if it weren't done like Pebble but by people that Apple heavily vetted and approved. Pebble didn't/doesn't care about trademark violations or ugly designs. 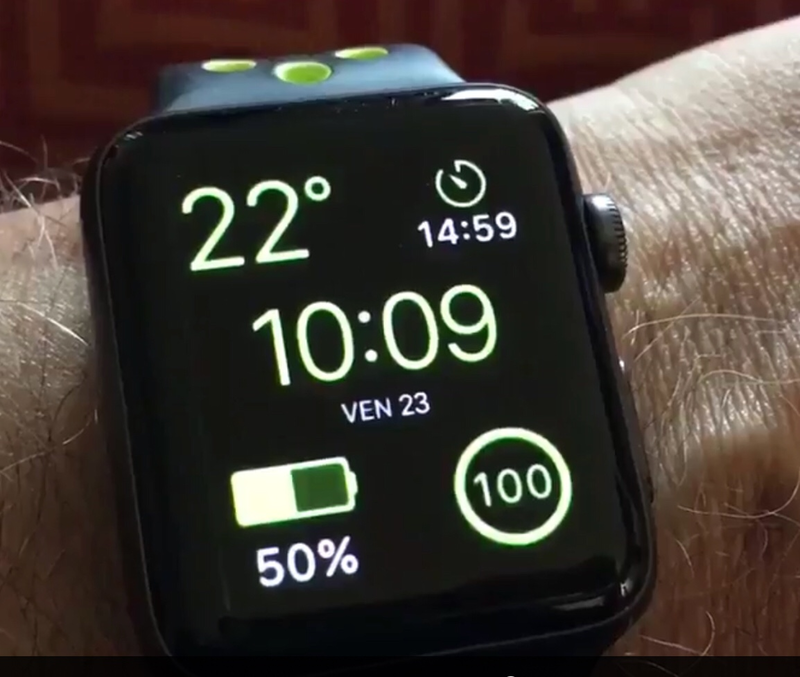 We do need some new watch faces and Apple needs to get on that. But not by dropping the bar. I'm sure that Apple isn't too eager to defend against trademark infringement lawsuits. Pebble never had to worry about that; they had no money. If Apple opened watchface designs, I'm sure that they'd be spending all their time in court defending against lawsuits. As I understand it, glycemic sensor is very complicated to do for an external (non-implant, non-blood testing) device. I'm sure that Apple would love to do it, but not sure that they could get FDA approval to market it for glycemic purposes if they have even figured it out. And I'm sure that they would have applied for FDA approval long before now, which would have been discovered by now. This would even justify an upgrade from Series 2 for me. My thought would be for Apple to allow watch faces to be "sold" through the App Store. This way, Apple could still maintain control and try to prevent copyright issues while giving users much more choice in the watch face they use. It would be interesting to see what new designs are created. I wouldn't be surprised to see tie-in watch faces (for things like games and movies). Then again, Apple may have signed an exclusive deal with Disney, to get Mickey, Minnie, and Toy Story characters on the watch, and this is part of the reason they have so heavily restricted the watch face. Selling Watch faces through the store would still be a problem because Apple would have to curate every Watch face for copyright violation. They didn't do a very good job with that Swiss train station clock years back. They changed a few elements but it was too close for Swiss comfort. That still would address the fact that less than stellar faces would cheap the look in some eyes, especially Apple's, who's going for some elegance over utility. Rolls-Royce wanted their car back after John Lennon had it custom painted, because they felt in damaged their image in the luxury car sector. Apple absolutely had to make a deal for the Disney characters. There may already be other deals made for more characters, but I wonder if any will be made after that since Disney did/is pull/pulling their content from iTunes. Actually, that's exactly why I got a Nike+ model. I loved Mickey on my series 2 but the Nike face is just so legible that I'm using it all the time. And I'm most definitely NOT a runner. Also the Nike band is flat out the best I've used so far. The holes help a ton! So far, extremely pleased with S3. Well, other than TMobile screwing us on the extra monthly charge but worth it I guess. Well, other than TMobile screwing us on the extra monthly charge but worth it I guess. how do I reset the apple watch from kilojoules to calories? What you should — and shouldn't! — expect from Apple in 2017!